We invite you to contact Marcy Boroff, Membership Board Representative, with any questions and/or to arrange for a tour of the synagogue and to meet with Rabbi Shawn Zevit. We want to make sure you have every opportunity to get to know us, and for us to get to know you, as you consider membership in Mishkan Shalom. An affiliate of the Reconstructionist movement, we are a synagogue dedicated to repair of the world through prayer, study and acts of caring. At Mishkan Shalom, you’ll find a spiritual home with profound and dynamic services, life cycle events, Jewish cultural celebrations, a vibrant congregational school and a shared commitment to social justice. 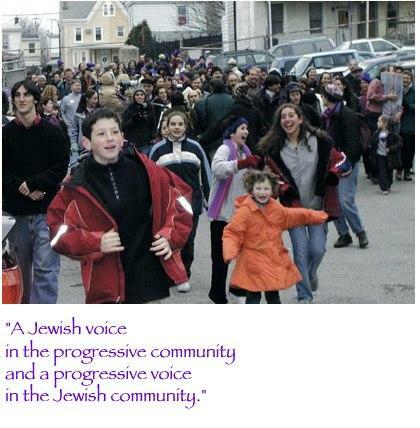 We are grounded in Jewish values as written in our Statement of Principles. Because we are continually creating a sacred communuty, we depend on our members in much the same way our members depend on us. Our Brit HaMishkan/Community Covenant eloquently describes the mutual relationship and responsibilities of membership. Along with a strong and supportive community, you will find an inspiring rabbinic team in our Lead Rabbi, Rabbi Shawn Zevit and Rabbi Yael Levy. Rabbi Yael founded and directs A Way In: Jewish Mindfulness Organization which offers a rich array of services, classes, meditation sits, retreats and more. Our members engage in a wide range of Spiritual Life offerings and are steeped in activism aimed toward Tikkun Olam, Repair of the World. Our Lifelong Learning program is robust with members and non-members alike participating in classes offered on varying days and times. With many members who are artists, artisans, musicians, writers and scholars, Arts & Music thrive at Mishkan. A wide range of programs are offered for young people: We're delighted to welcome Rabbi Joysa Winter as our new Education Director for our Congregational School. We offer intergenerational programming, including an active Teen Program coordinated by our new Rabbinic Intern (TBA). Gabby Kaplan-Mayer is the creator and Coordinator of our ground-breaking Celebrations! and Mitzvah Menshes programs, serving children, families and young adults with special needs. Our community is rich in diversity – in Jewish observance, family structure, ethnicity, religious heritage, politics, household geography and economics. At Mishkan Shalom, our lay and rabbinic staff, and your fellow congregants, will honor your individuality and where you are in your personal journey to find meaning in Judaism. We hope you will take some time to get to know us and warmly welcome you to our synagogue’s dynamic services, cultural programs and special events in the coming year.